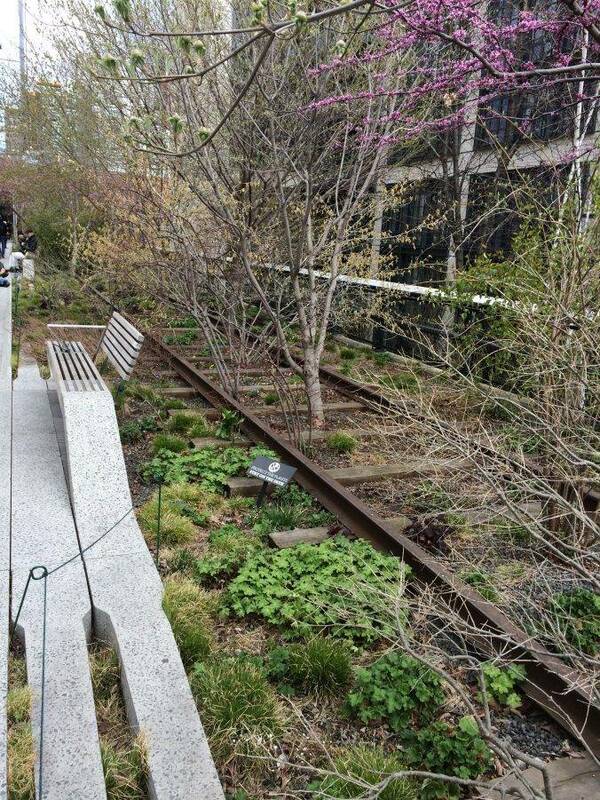 Radial Bench, High Line Park, between west 28th and 29th streets. 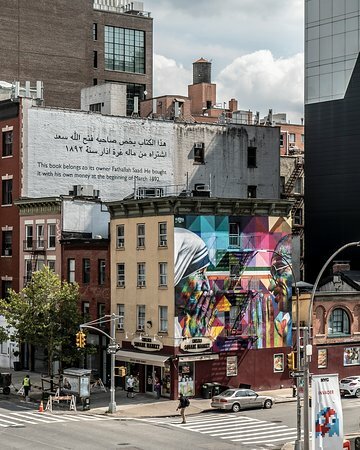 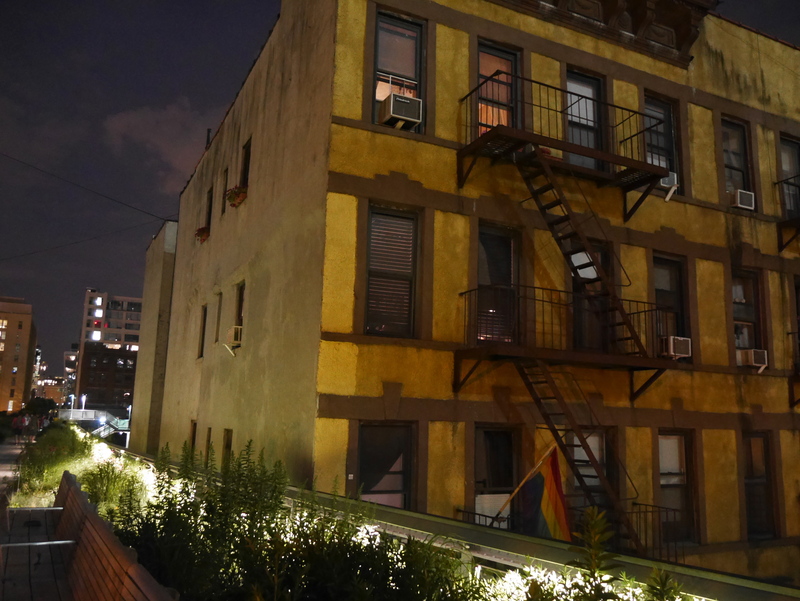 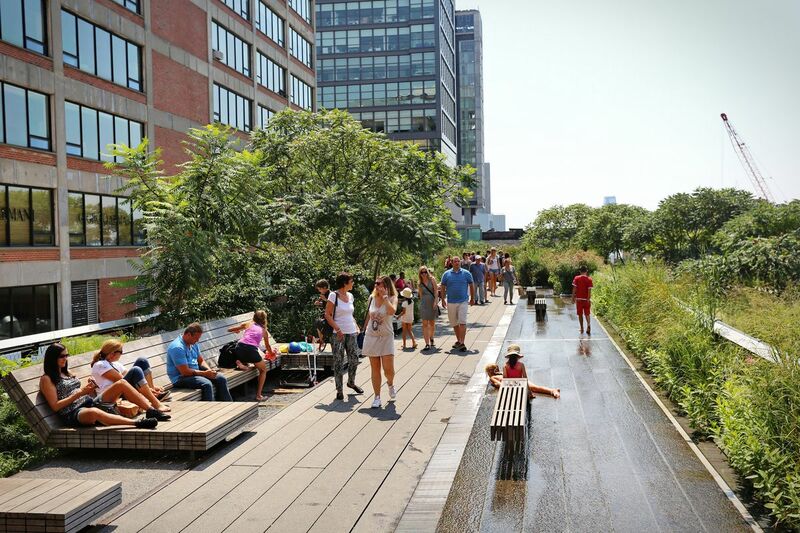 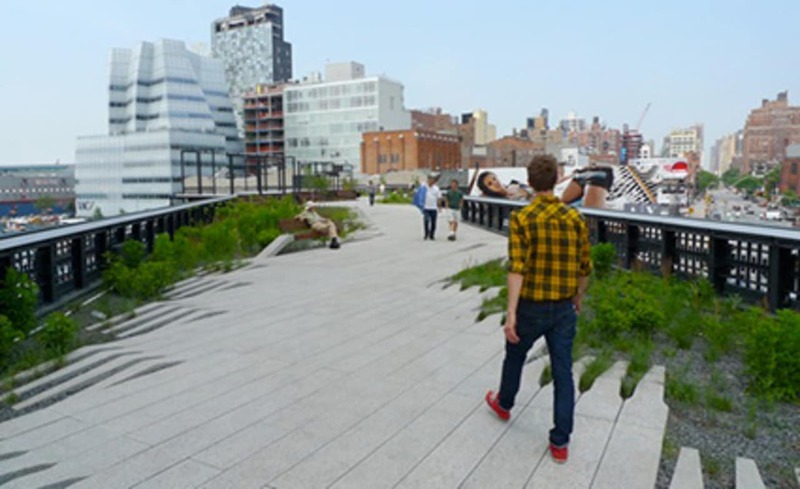 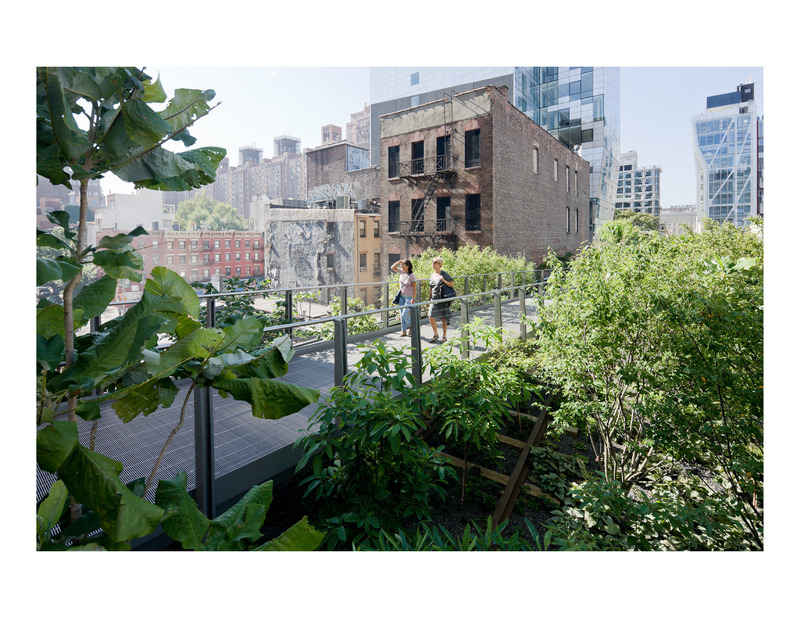 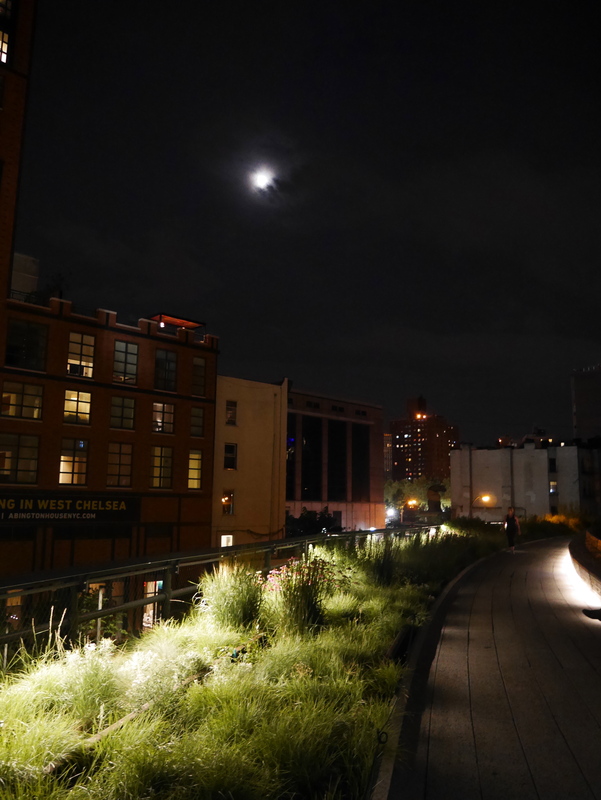 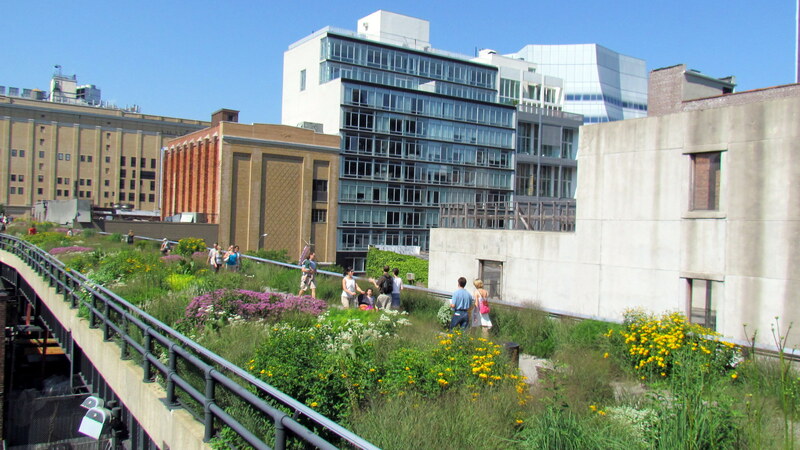 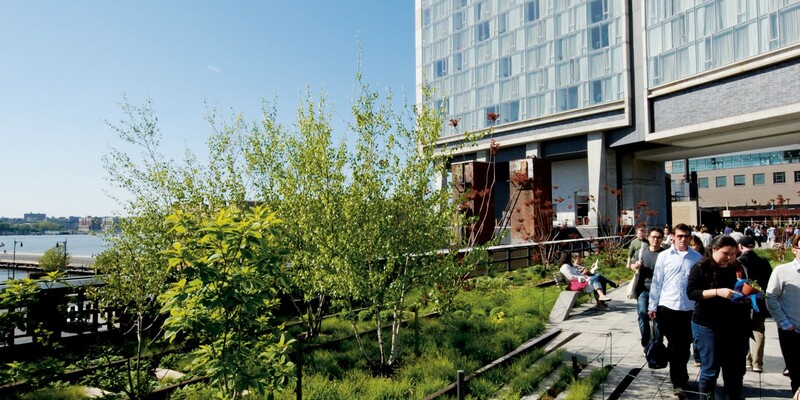 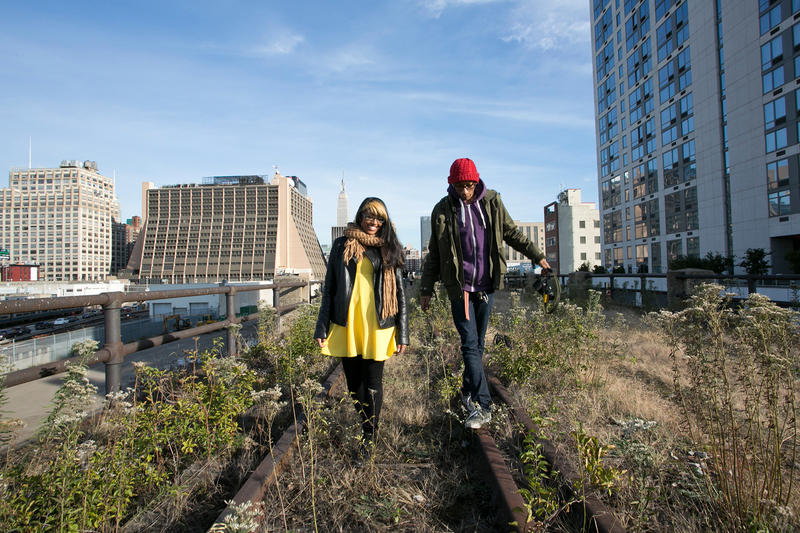 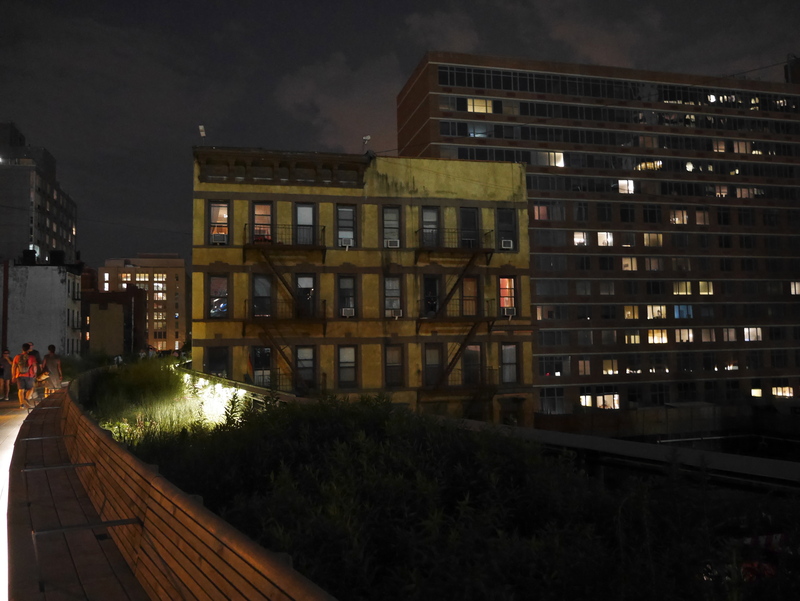 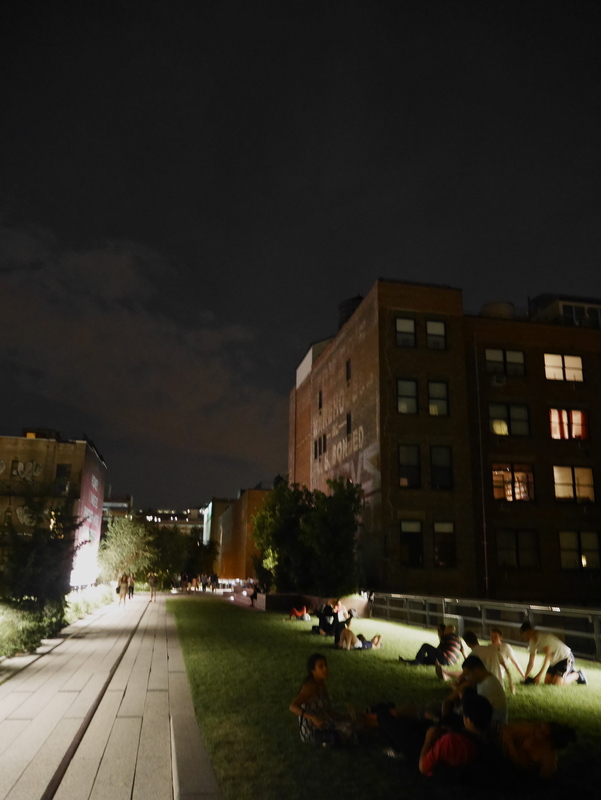 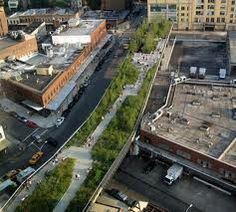 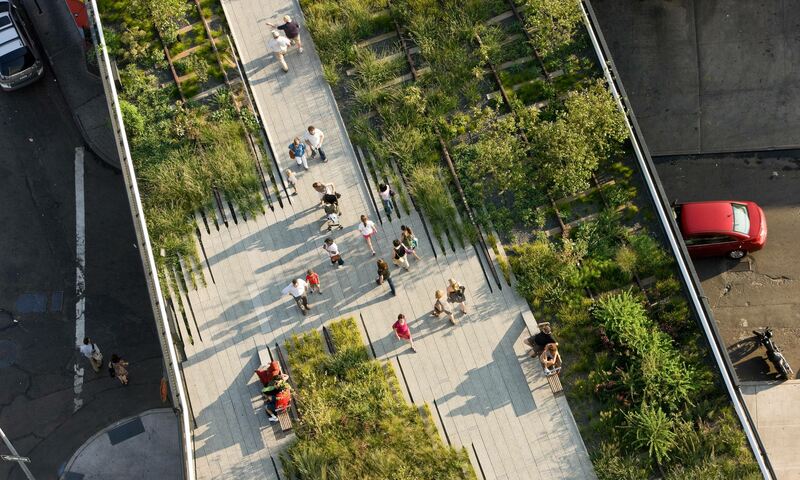 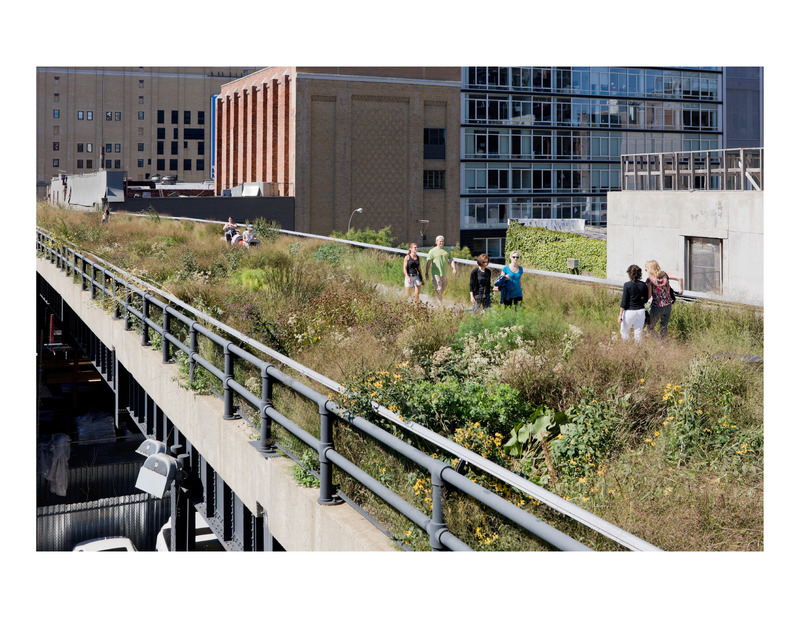 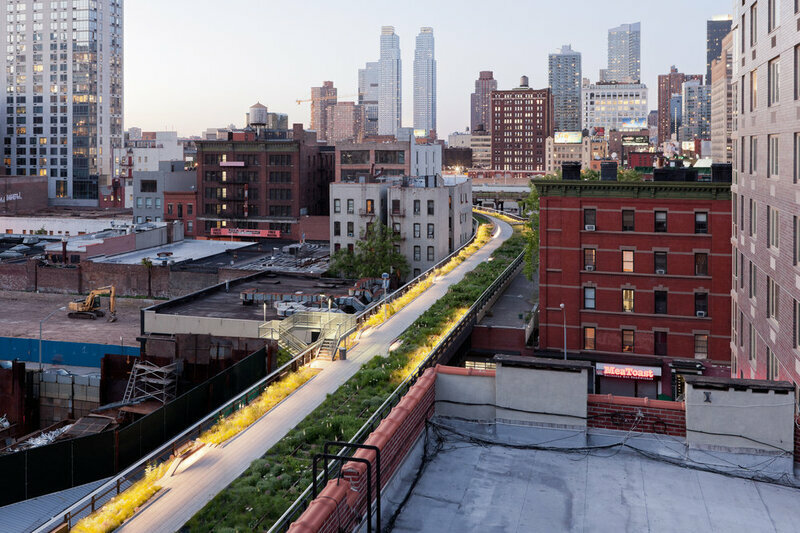 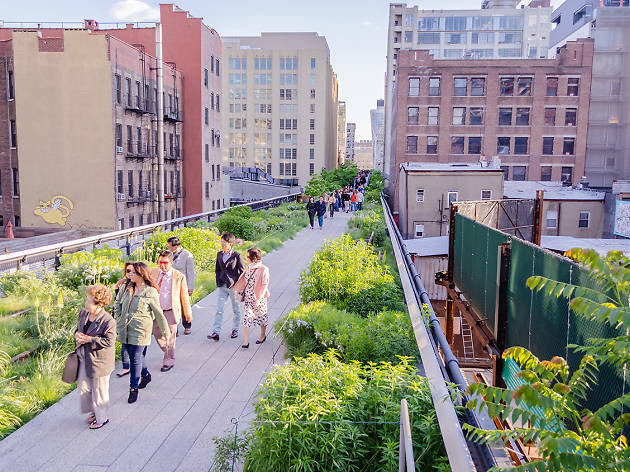 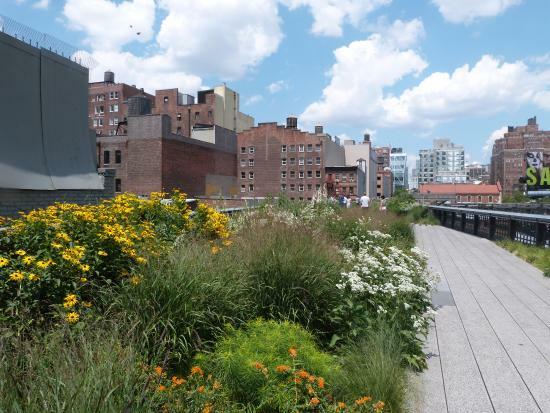 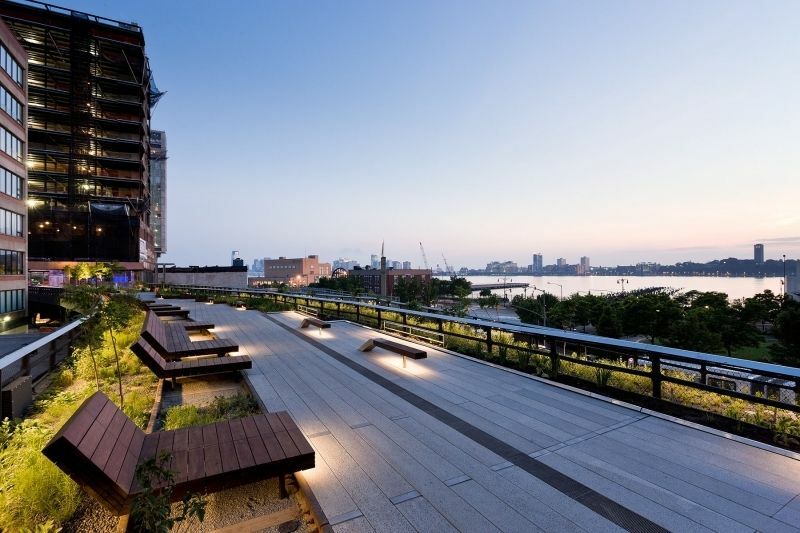 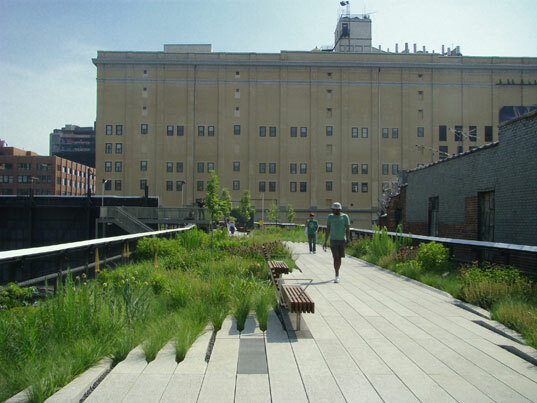 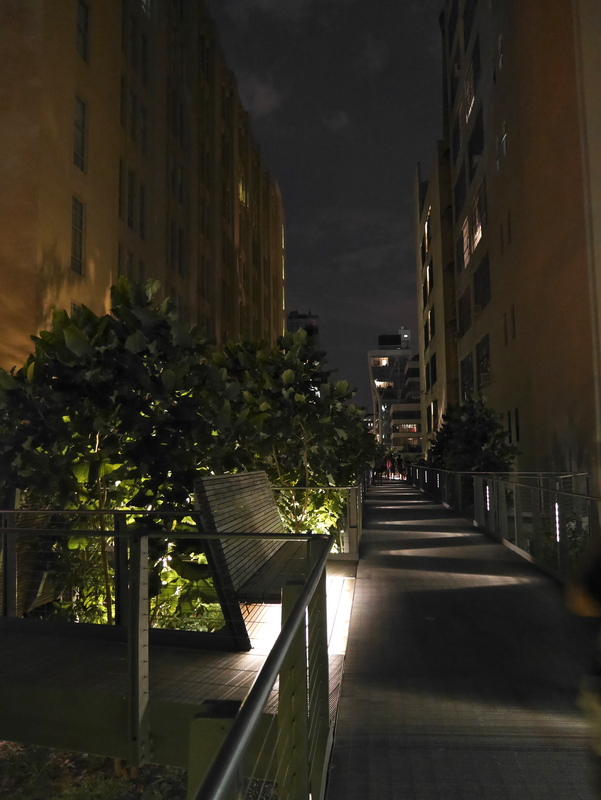 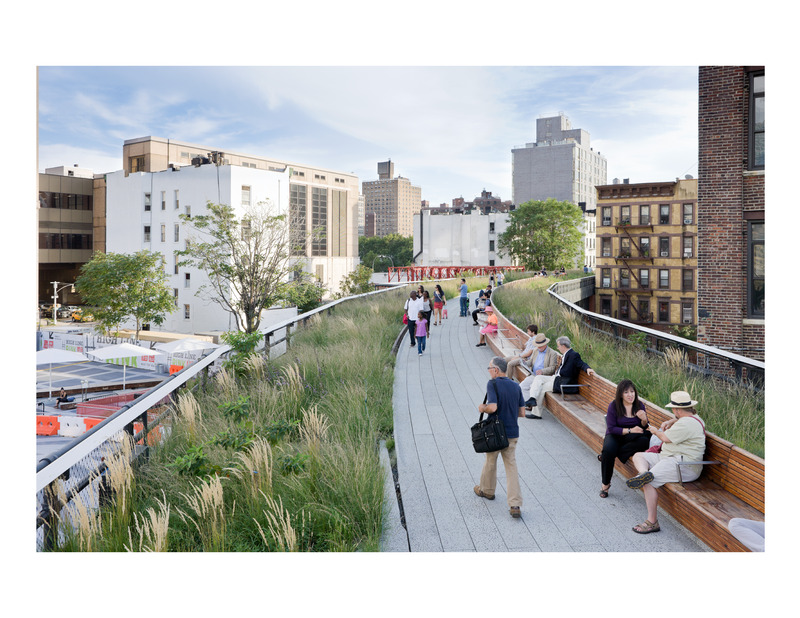 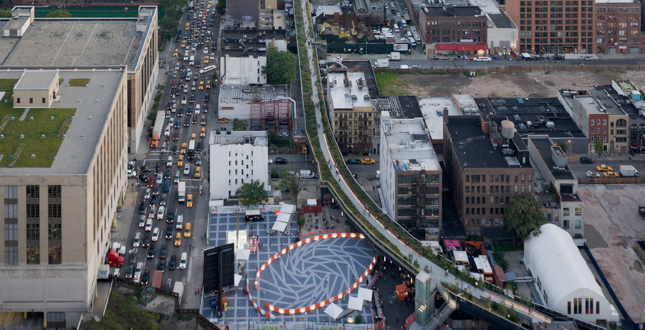 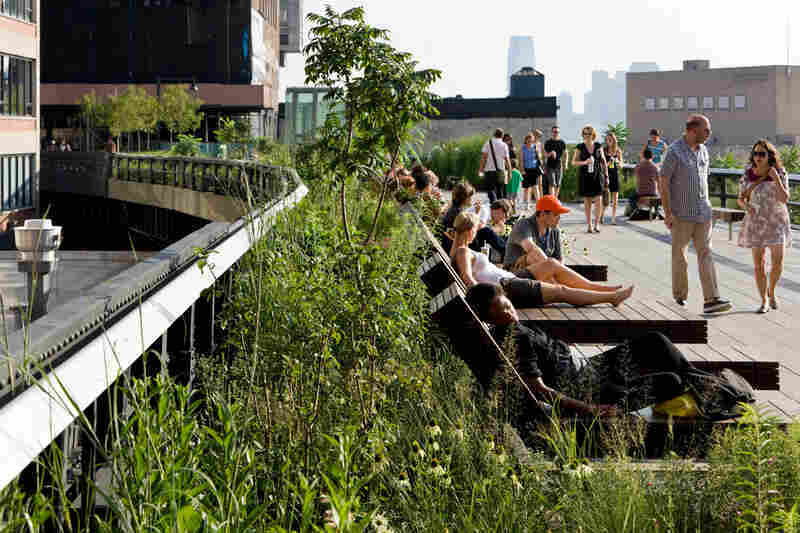 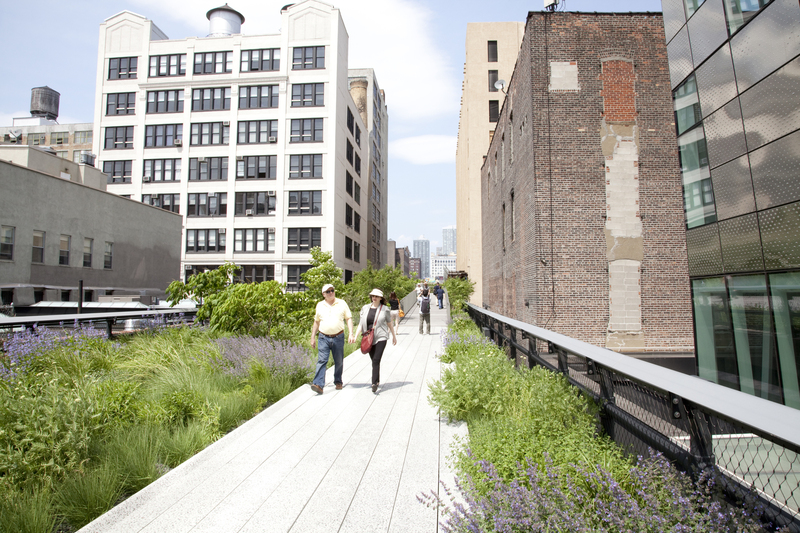 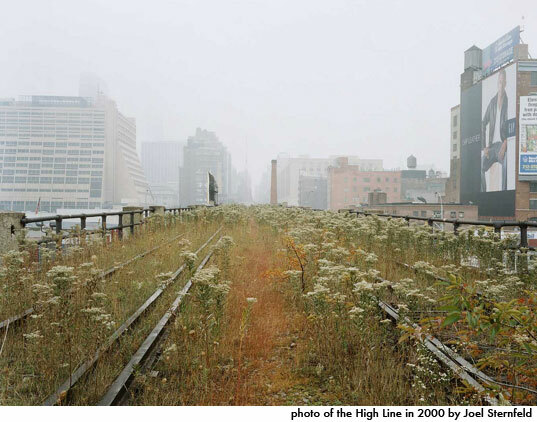 The garden-lined path of New York City's High Line. 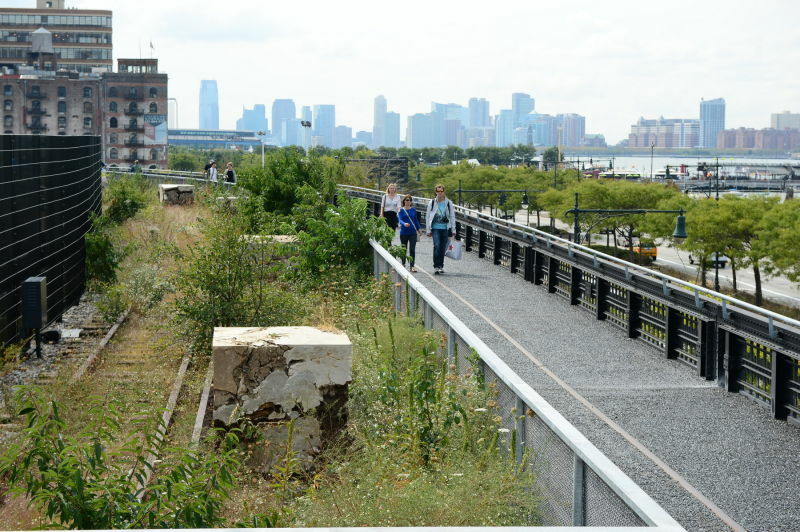 The narrow (30 to 50 feet wide) and relatively short (1.45 miles long) trail, which attracts 7.5 million visitors a year, offers an expansive experience. 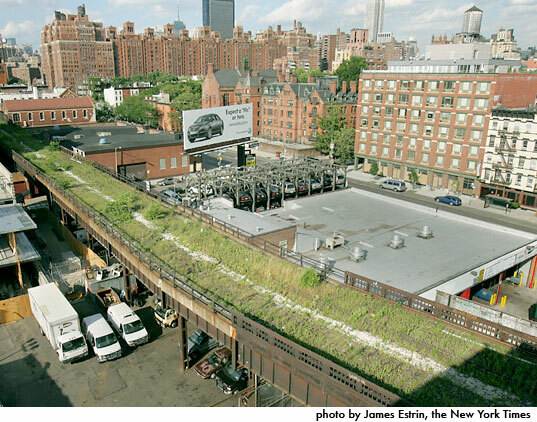 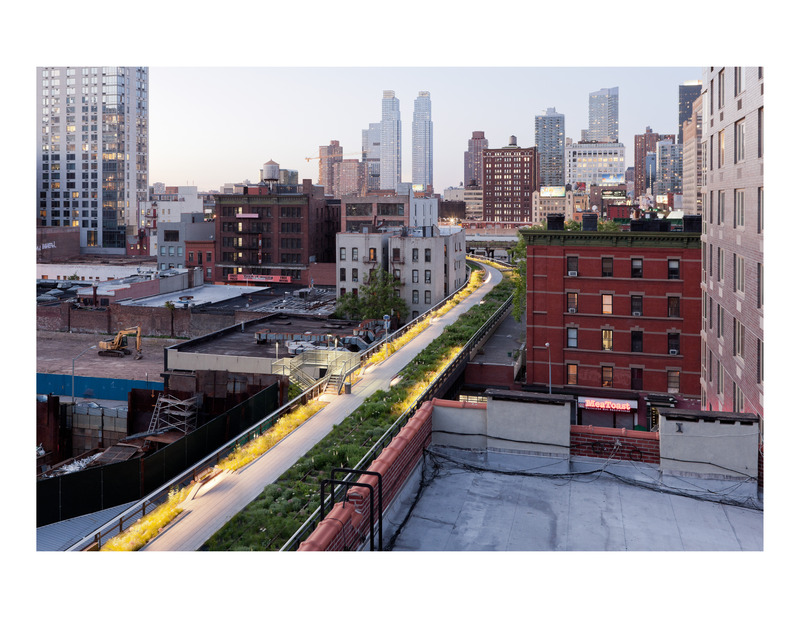 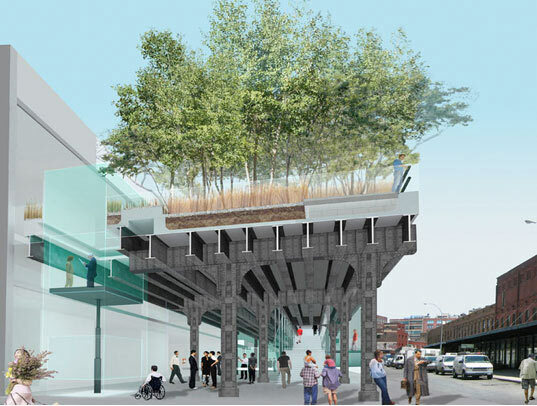 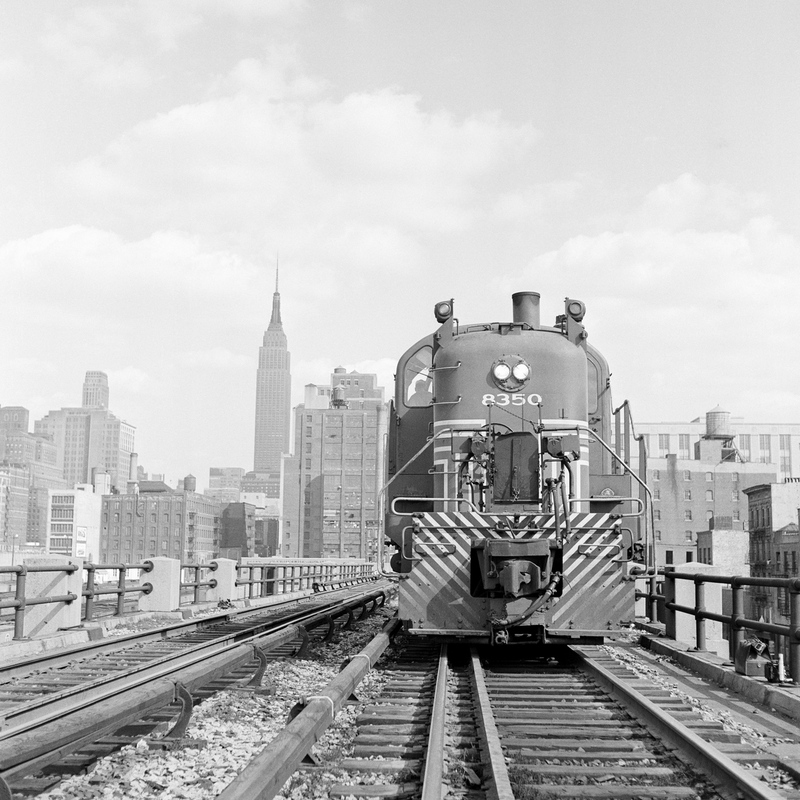 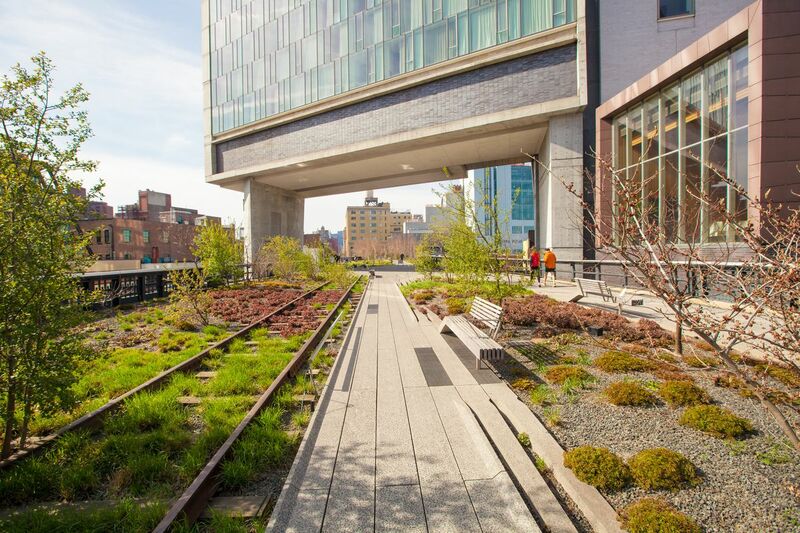 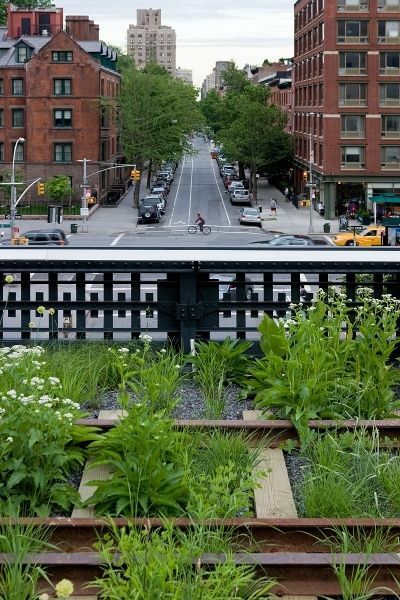 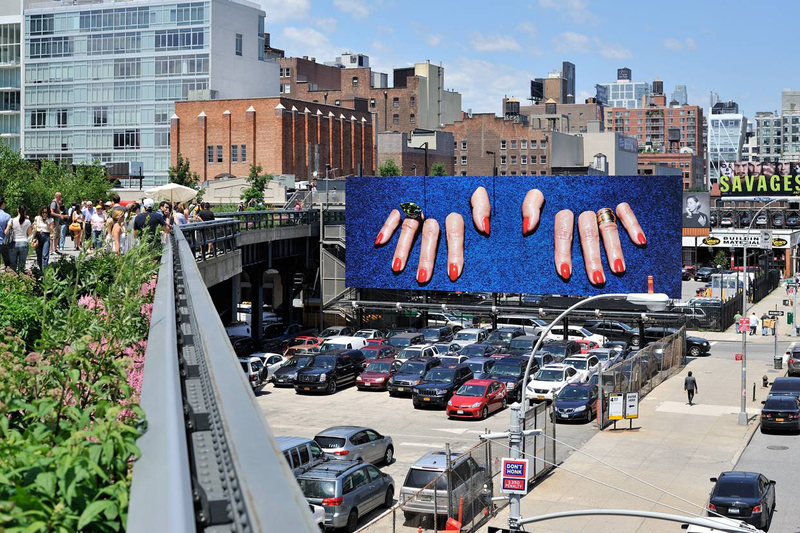 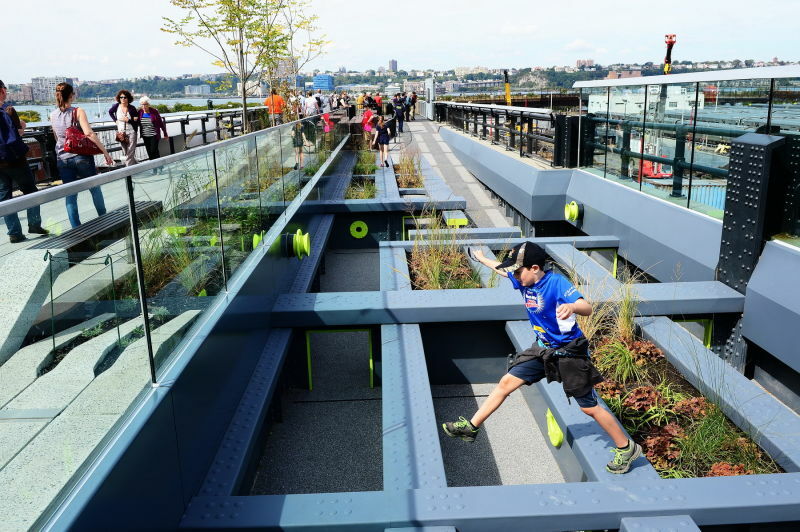 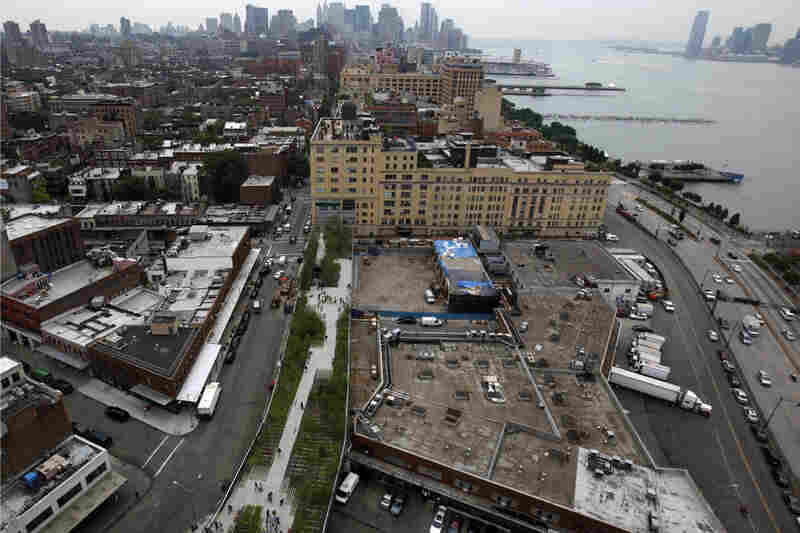 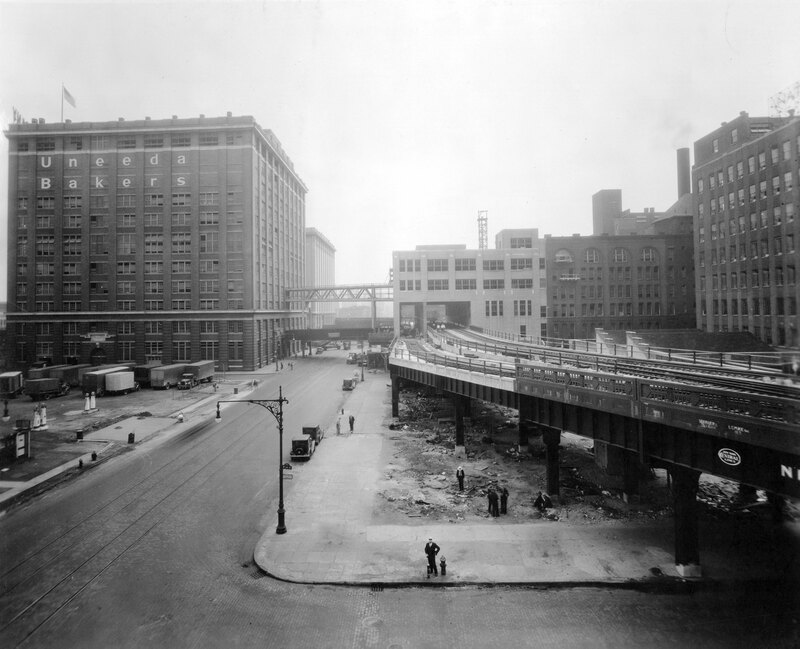 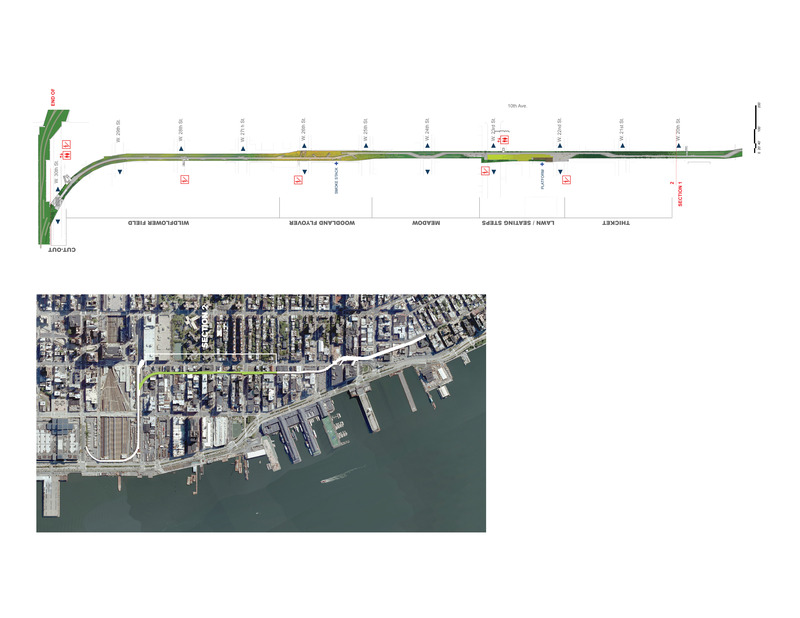 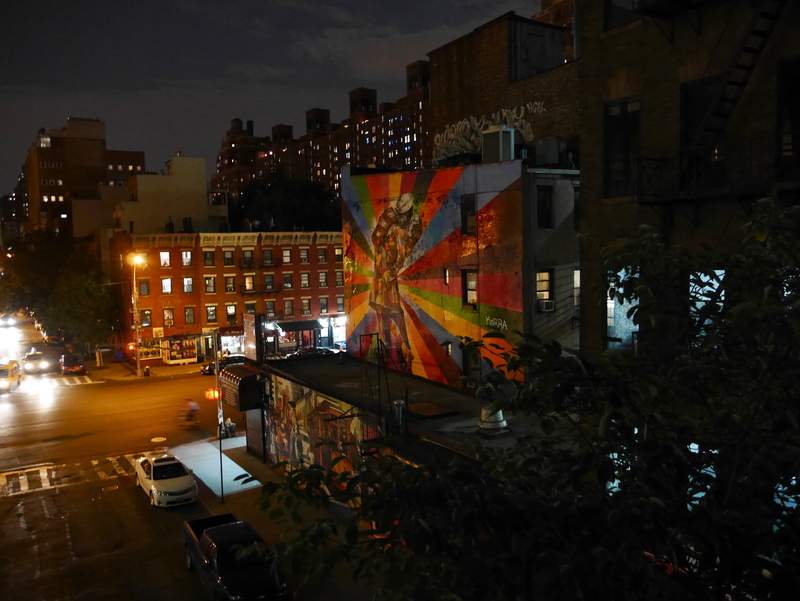 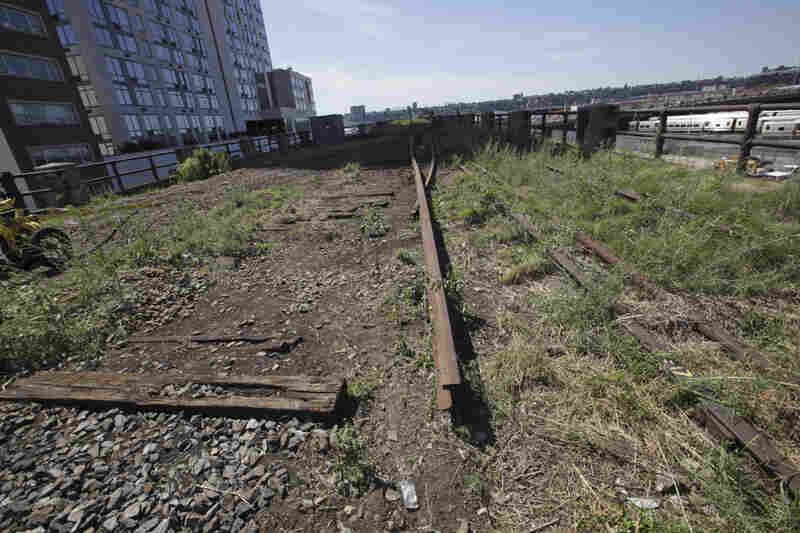 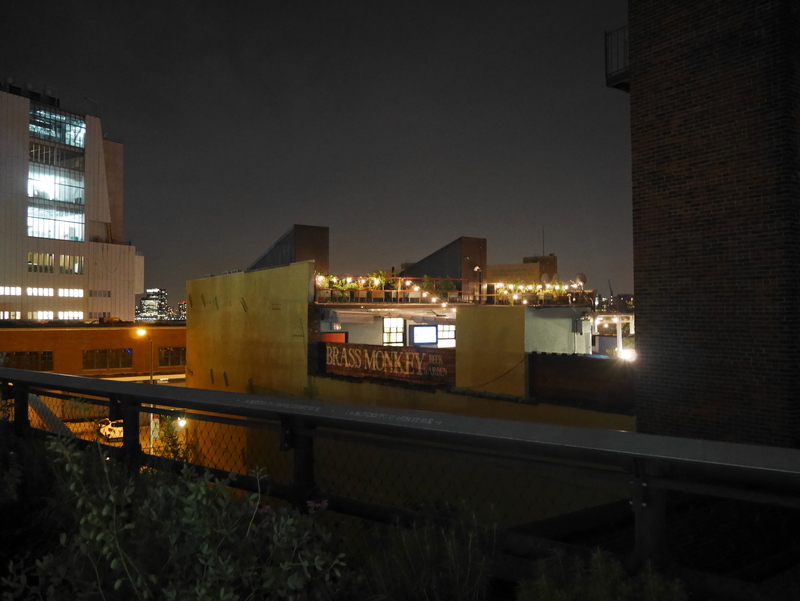 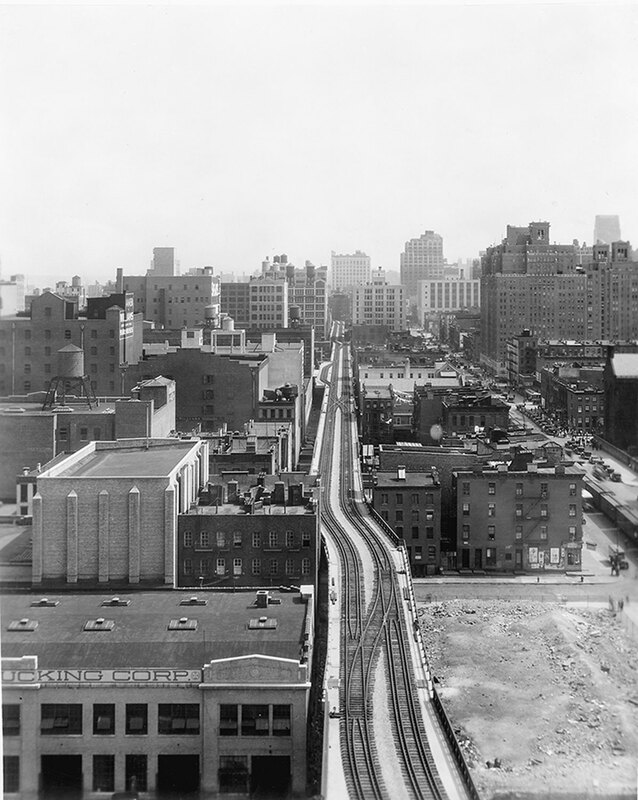 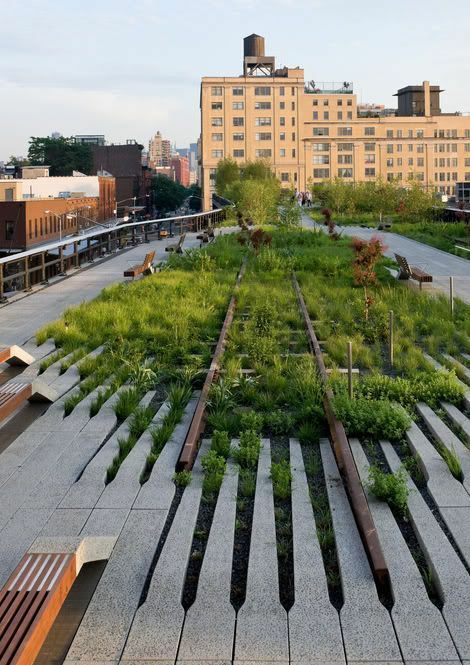 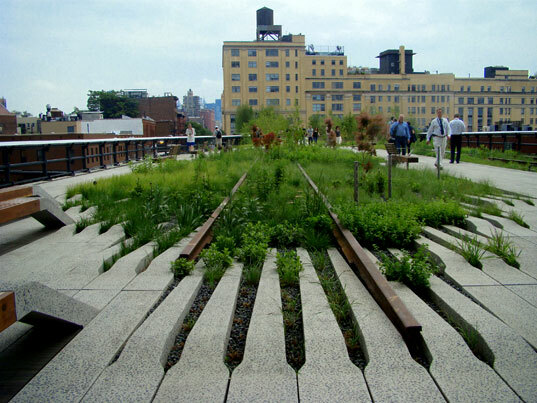 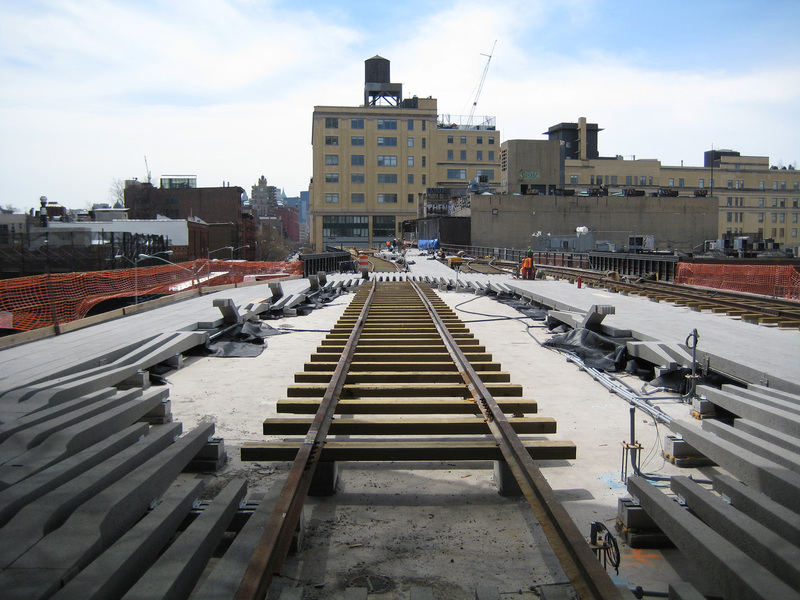 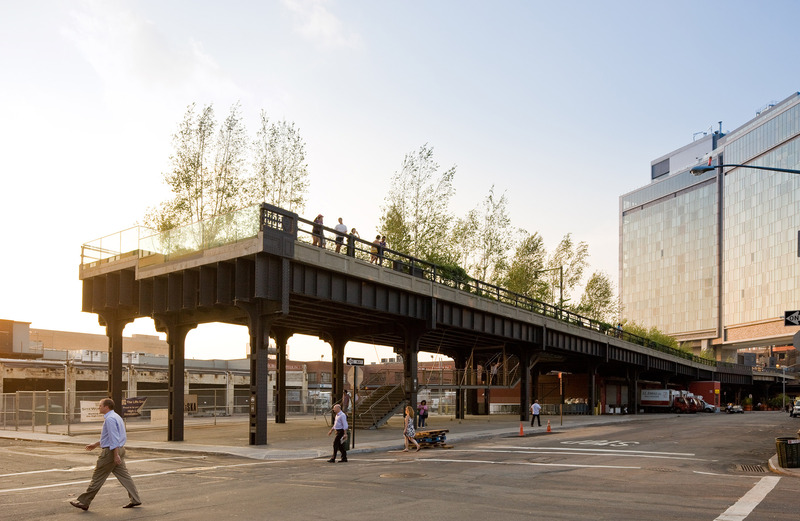 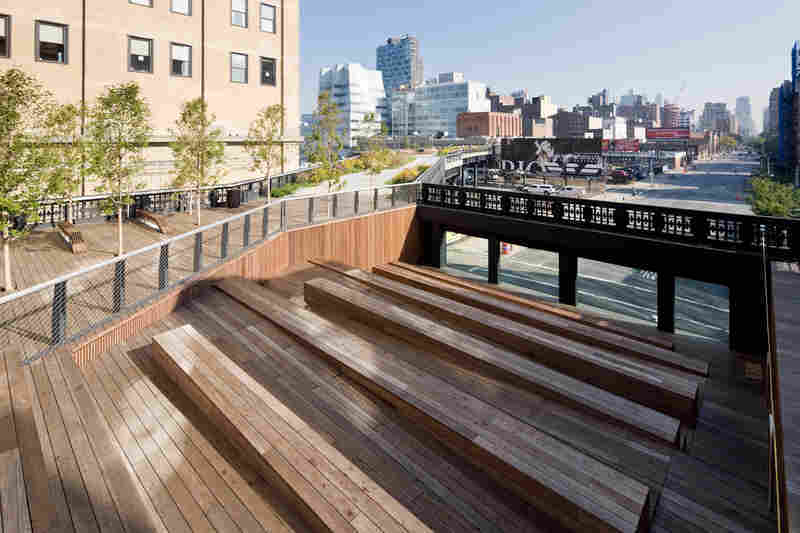 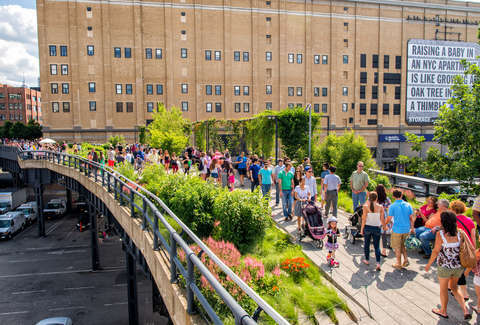 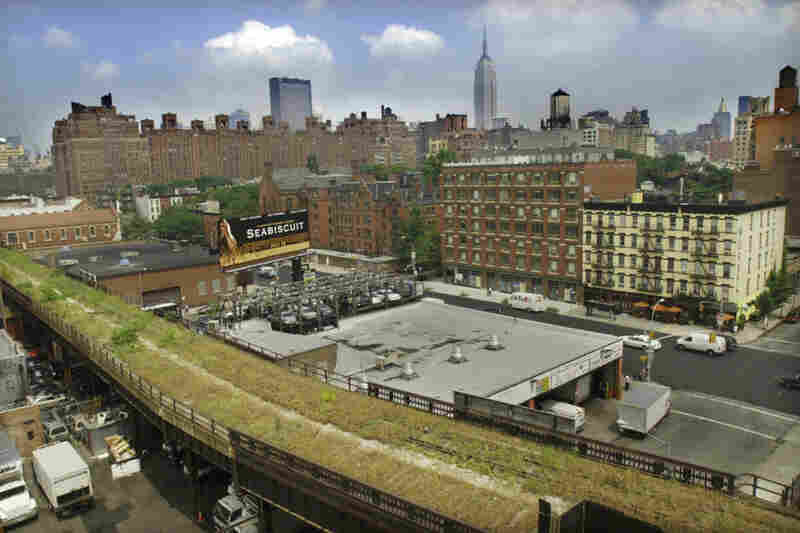 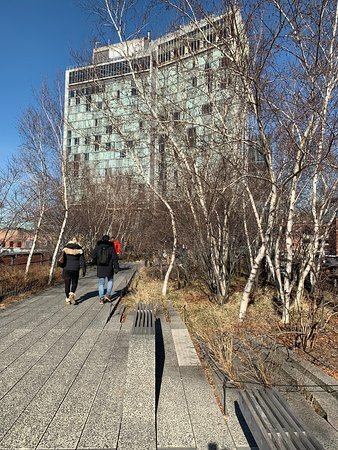 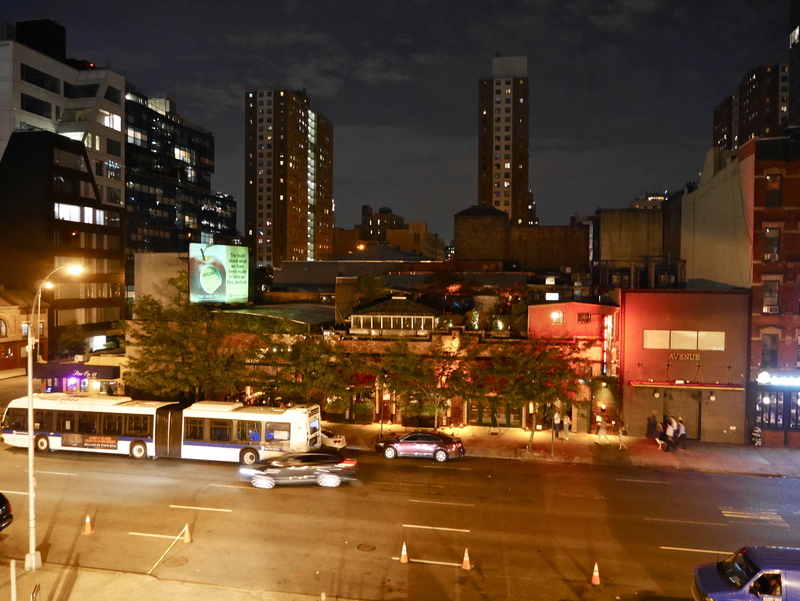 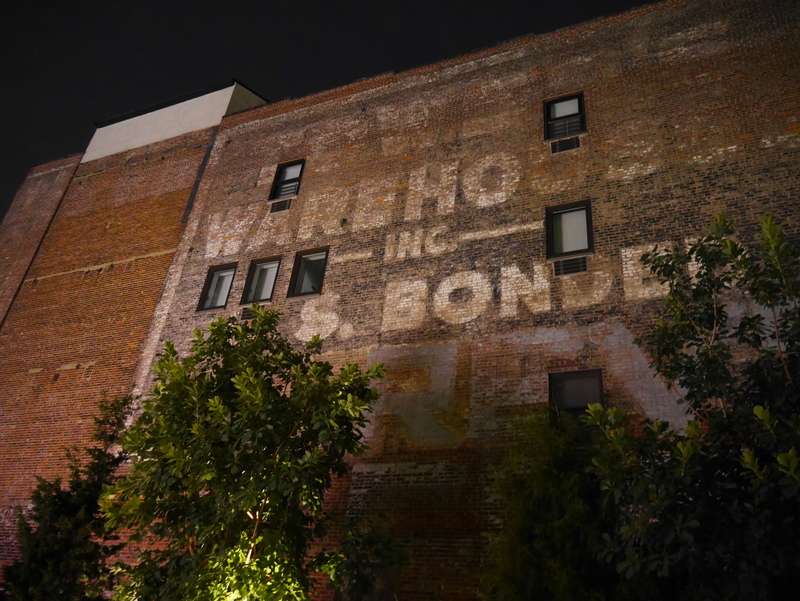 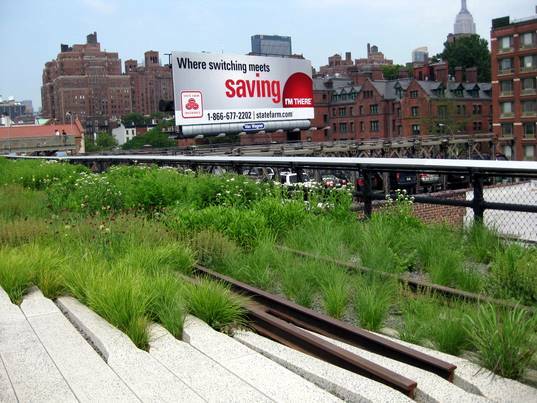 The High Line was originally constructed in Manhattan's Meatpacking District in the 1930s to lift dangerous freight trains off of city streets.